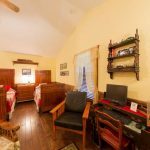 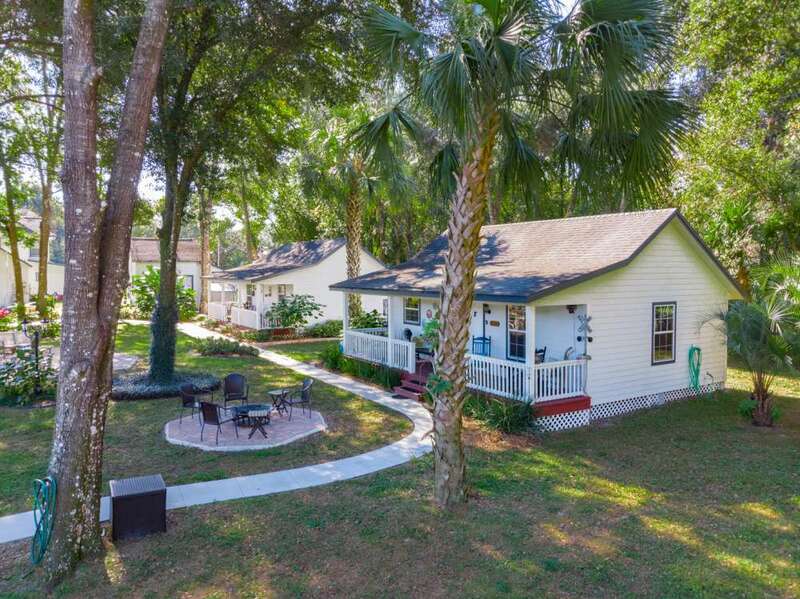 This cottage is new in 2008 and is decorated in a way that carries its guests back to the days when our nation’s railroad industry was in its heyday. It has a full kitchen with a stove, microwave and refrigerator. 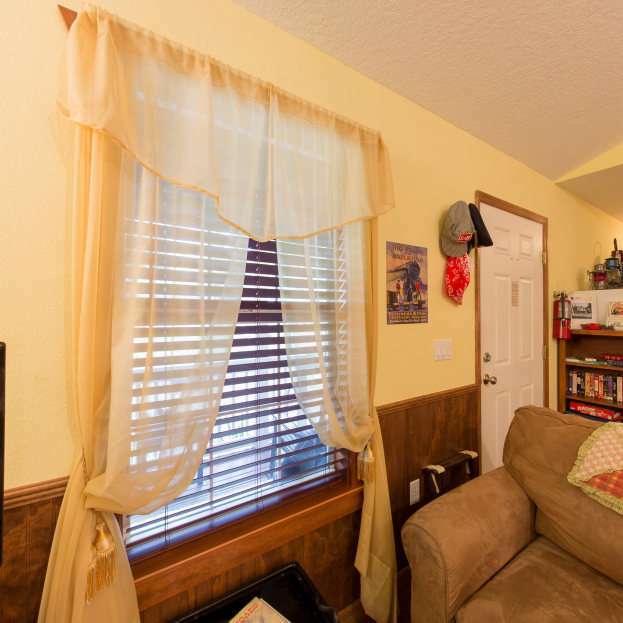 Cooking and serving utensils can be found in the cabinets. A stackable washer and dryer is available for washing clothes and a breakfast nook for eating meals. 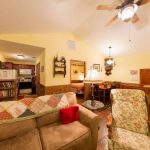 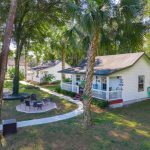 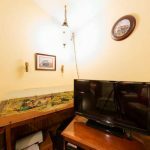 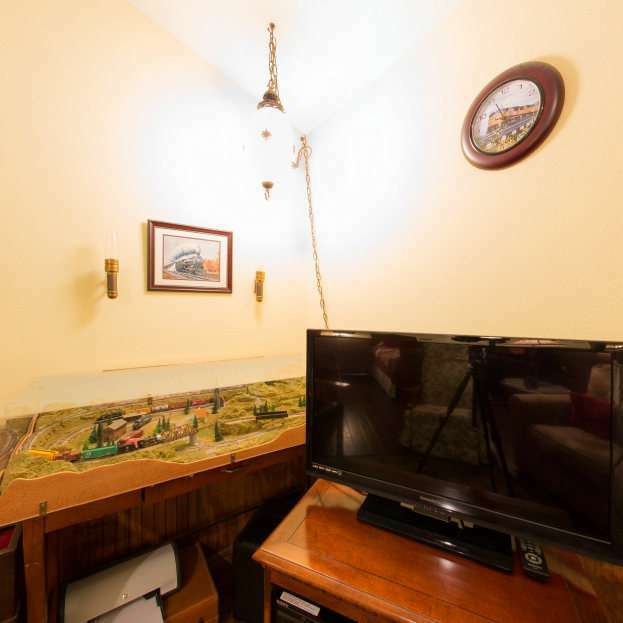 This building has two bedroom areas and contains two antique twin beds in the great room, queen-sized bed in the second bedroom, full sized hide-a-bed couch, Internet PC and cable TV with VCR and DVD. The bathroom has a nice sized shower.